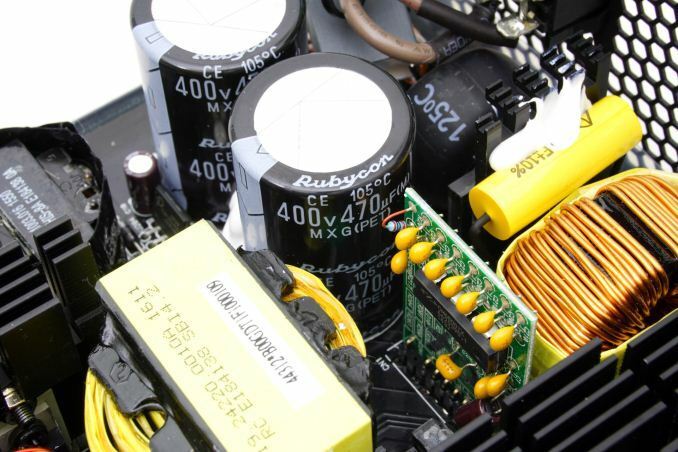 For today's holiday buyers' guide we are having a look at power supplies. 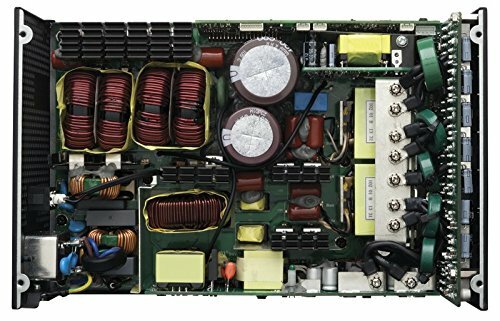 Once again, I shall begin with discussing and clarifying a common misconception among users, that a higher wattage PSU is not always better. It is very important to keep in mind that all switching PSUs have been designed so as to deliver their maximum efficiency at about half-load (50% of their rated maximum capacity). The efficiency of a PSU at any given moment is tied to how many components it is powering (known as load), decreasing not only at higher loads but at lower loads as well. This is especially true at the low-end of the loading curve, usually below 15% of the unit's rated capacity, where efficiency outright plummets. It is wise to remember that the advertised performance of a PSU is within a specific load range (20% to 100% of its rated capacity) and the manufacturer is not obliged to include information on how much the performance degrades at sub-20% load conditions. Only the 80Plus Titanium guidelines dictate an efficiency requirement of 90% at 10% load. Therefore, if the goal is efficiency, the selection of a severely oversized PSU to combat the issue is both economically and practically senseless. That being said, the selection of a PSU is based on both objective (e.g. wattage, performance) and subjective (e.g. design, modular cables) parameters. Therefore it is required of every user to be capable of making at least an educated guess about the power requirements of the system. Users frequently overrate the power requirements of their systems greatly. It is not uncommon for people - even store salespersons and experienced builders - to recommend a 1kW unit to a user with just two (or even one) high-performance GPUs. Meanwhile "wattage calculators", though an improvement from blindly guessing, are usually simple tools that get their numbers from the design power (TDP) specifications of components. The TDP of a component does not represent the actual power requirements of a component - it's at best a broad guideline - and it also is next to impossible to place every single component of a system under maximum stress simultaneously. It also depends on how the manufacturer is actually calculating TDP. A system with a single CPU and a single mainstream GPU rarely requires more than 300 Watts. If you are able to measure the actual power requirements of your system, keep in mind that you should not buy a unit that will frequently operate near its maximum capacity. Just as you would not run your car constantly near the red line, a power supply should not be under maximum stress for prolonged periods. A high-quality PSU can withstand it, but just because it can does not mean it should. Again, all switching PSUs deliver their maximum efficiency at roughly 50% of their rated capacity. Running a PSU at over 90% capacity for prolonged periods of time will not only reduce its performance but it will also make it hotter, louder, and decrease its expected lifespan. With that in mind, while the recommendations of the online tools and calculators may be overestimated, they're not overly so. Selecting a unit of the wattage they recommend is not usually a bad idea, as the recommendation usually is twice the actual power requirements of the system. The common mistake is that users usually seek to buy a significantly more powerful unit, thinking that having extra power helps, and end up with a severely oversized PSU for their system that will be both more expensive to purchase and will not operate at its peak efficiency. Finally, getting to our recommendations, for easier reading we will split our recommendations into five main wattage categories with at least two units for each. One selection will be based on the maximum possible value (e.g. bang for the buck) and one will focus on the best overall performance. It is likely that most power enthusiasts and gamers will discard this power range as "too weak". The truth is that these units are adequate for a modern low-energy PC with a mainstream CPU and a single GPU. Sadly, it is not a very popular segment of the market and there is little competition, meaning that there is not a very wide selection of products for the users. Our recommendation for a low-cost unit of reasonable quality and backed up with a good warranty is the EVGA 430 W1. EVGA introduced this unit last year, but it is based on an old Heroichi platform that offers very good power quality and excellent reliability. The platform got the basic 80Plus certification nearly a decade ago, which is not very efficient by today's standards, but the W1 gets the job nicely done for a $34 product. 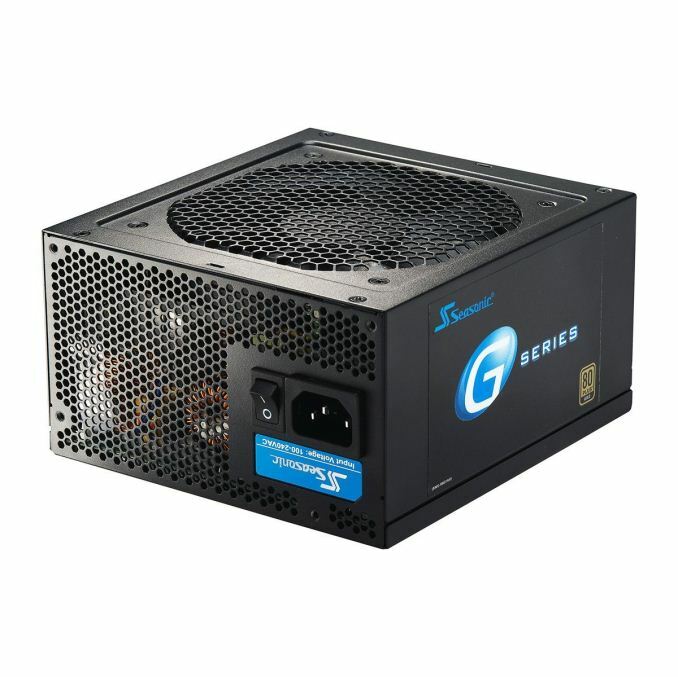 For several years in the row, the Seasonic SSR-360GP is our choice of a high-performance low wattage PSU. The 80Plus Gold certified 360W unit offers excellent power quality and long-term reliability, but costs nearly twice as much as the EVGA 430 G1. 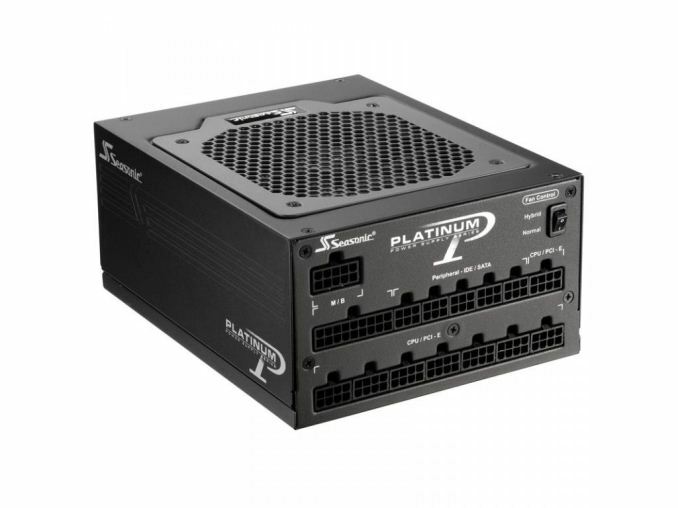 Sparkle offers an 80Plus Platinum unit based on a FSP platform for about the same price, but it is frequently out of stock and it is not (nearly) as popular as Seasonic's model. This is the power range with the largest selection of products and for a good reason, as it generates the largest portion of sales. It is extremely unlikely that a PC with a single CPU and a single GPU will overcome the output of such a PSU, even if overclocked. EVGA has a very interesting option, the 500 B1, a product ideal for those seeking to combine good performance with value. It virtually is an advanced version of the Heroichi platform that the W1 is based on. The 500W unit is 80Plus Bronze certified that comes with a 3-year warranty and is currently selling for just $45 shipped. The unit that offers the best possible performance and quality within this power range most likely is the fanless Seasonic SS-520FL2, but its retail price of $143 is disproportionately high. Therefore, our recommendation for a top quality and performance PSU goes to the Corsair RM550x, an 80Plus Gold modular PSU that provides outstanding power quality and is backed with a ten-year warranty. PSUs with an output between 600 and 800 Watts are very popular amongst gamers and overclockers. They are powerful enough for dual GPU gaming systems and provide enough overhead for serious overclocking and mods. This power band is also popular among users that will be using just one GPU, as the power overhead frequently creates a feeling of security. If you are seeking to combine performance with value, the Rosewill Hive 750W is a PSU that you cannot go wrong with. Rosewill nearly halved the price since our first review of the 850W version last year, which performed well but at the time cost a little too much. It may be a visually mundane product, but the current retail price of $55 is a steal for a quality 750W PSU. The best PSU with an output between 600 and 800 Watts most likely is the Seasonic SS-760XP2 Platinum. 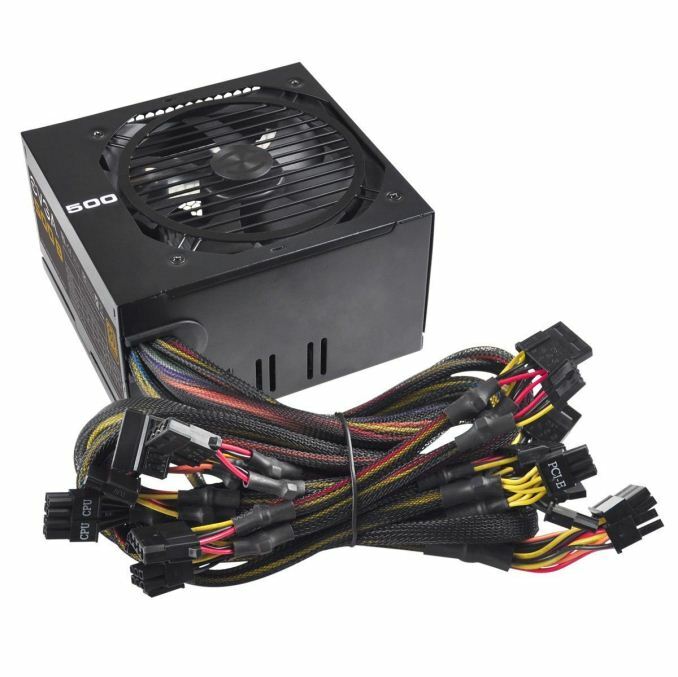 It is an outstanding PSU that is overshadowed by its exceedingly steep price. For years in the row, the Seasonic SS-760XP2 retails for $150 and rarely appears into sales. 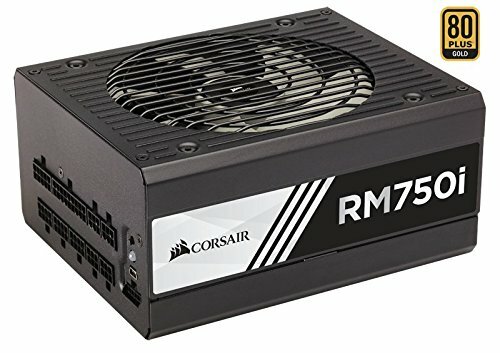 If the top quality and performance of the SS-760XP2 cannot justify its excessive price for you, the Corsair RM750i is a much more reasonably priced alternative. The RM750i is very similar to the SS-760XP2, with the exception of being 80Plus Gold certified, but it comes with a longer warranty and has the bonus of a USB interface. This power range should be reserved for users that want to power high-end dual or triple GPU computers. We cannot go very cheap in this power range because we believe that long-term reliability is an absolute must whether we are considering a high-end gaming system or a professional workstation. Our first recommendation for an inexpensive, yet reliable PSU in this price range would be the Corsair CS850M. There are several other high-quality units selling around the retail price of the CS850M, but this is one of the very few 80Plus Gold certified units below $100 with that kind of power output, perfectly combining performance, quality and value. When performance is a greater concern than value, then Seasonic's SS-1050XP3 is our primary recommendation. The modular 80Plus Platinum certified PSU delivers impressive performance and quality and Seasonic significantly reduced its retail price tag this year, bringing it down to $170 including shipping and virtually obliterating its competition. If you require a PSU with this kind of output, chances are that you have at least three high-end GPUs and or a seriously powerful dual-CPU system with a lot of devices. These PSUs also find use in advanced servers and cryptocurrency mining systems. That being said, the PSU is going to be powering a rather expensive system, the function of which is frequently very important. Therefore, the selection of a "value" PSU within this power band is a complex procedure, as the PSU has to meet very high-reliability standards. With that in mind, our recommendation goes to the Seasonic SS-1200XP3, a very reliable 80Plus Platinum PSU that retails for $230. It is definitely not the cheapest 1200W PSU available but it offers a very good combination of value, performance and quality. The EVGA SuperNOVA 1300 G2 also is a reasonable alternative, with a lower efficiency but also a lower price tag of $177. For those that want the absolute best and cost is not an issue, Corsair's AX1500i still is the undisputed champion. It is one of the very few 80Plus Titanium certified units available, has exceptional overall performance and outstanding quality. There is virtually no other PSU available today that combines the quality, performance, efficiency, and features of the AX1500i. The only problem is that the AX1500i currently retails for $400, enough money to buy a complete mainstream system.